Things are not looking so rosy for Harbour View just now, but the club is expected to be boosted by the eligibility of their high school stars in what could be the perfect gift for the Yuletide season. Harbour View are hovering just five points above the relegation zone in ninth spot on 14 points in what Assistant Coach Fabian Taylor described as “chaos”, as they are winless in their last five games. But with the creme de la creme of high school football stars (L-R in photos below) in Javain Brown, Rashawn Mackison, Fabian Grant of Kingston College; Tyreek Magee and Tevin Rochester of Jamaica College; along with Nicque Daley of Clarendon College, things are looking bright for the “Stars of the East”. “We have some schoolers coming in as well and we looking forward for their injection in the team,” said Taylor. “We have some schoolers who are very experienced as well playing Premier League for the last two/three years, so hopefully, with them coming into the squad we will improve,” he noted. 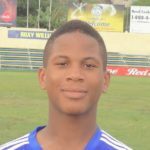 Both Mackison and Daley are lethal goalscorers, each netting over 20 goals in the Manning Cup and daCosta Cup, respectively. 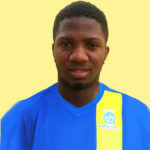 Mackison registered two hat-tricks and led KC to the Super Cup title, the Walker Cup final, and the semi-finals of the Manning Cup. 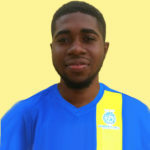 Daley led Clarendon College to the Ben Francis title and the daCosta Cup final. Magee is arguably the best attacking midfielder with 14 goals in all competitions, while Grant is a wonderful utility player who was called to the national set-up last season. 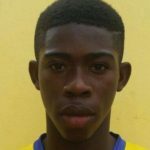 Rochester is probably the best high school holding midfielder this season, while KC Captain Javain Brown has been solid all season and earned his first senior cap for Jamaica in their 2-1 win against Trinidad and Tobago in August. Harbour View, who last won the Premier League in 2012/13 season, have struggled this season, winning just three games from 13. Their goal tally of eight is the second worst in the league. 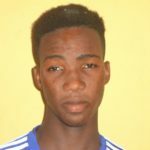 “We have been struggling for the last three years trying to find a goalscorer, and we still haven’t found that as yet,” said Taylor, who was a prolific striker for Harbour View and who netted seven times for Jamaica. “But it’s a work in progress and we have some youngsters who are working hard in training everyday, trying to improve on their skills, so hopefully they will improve,” noted Taylor. “Chaos… all the bad words when you can’t come up with three points. But we as coaches have to stick to it and the players have to stick together and stick with it and work on it each day in training. It can’t continue like this,” said Taylor. Coaches: Ludlow Bernard (KC), Donald Stewart (JC), Lamar Morgan (Tarrant High), Davion Ferguson (St. Jago).